Spending the week of Christmas on the island of Kauai was a treat and a nice break from Oregon weather. But I didn't mind the 37 degree blast of air that greeted me as I walked up the jet-way into PDX on my return. I was back in the land of plentiful great beer. As I documented in a post from Kauai, the beer choices there are slim. The most popular flavors in the bars and eateries around Poipu are Kona styles...Longboard, Fire Rock, Big Wave and some others you aren't likely to see outside the Islands. There's nothing particularly wrong with the Kona beers. They're well-made and reasonably tasty. I actually couldn't help wondering if maybe the Kona beers and other domestic macros that dominate the scene there aren't perfect for the mix of tourists and locals. Maybe lighter beers is all folks want in the tropics. Hmmm. Even if I was somehow out of step with local tastes, I was looking for something more stimulating. And there is something more stimulating for those with a similar mindset. It can be found up the road from Poipu in Port Allen. I was well aware of Kauai Island Brewing before this most recent trip. Last summer, I interviewed brewmaster and vice president Dave Curry and there is an earlier post here. My treat on this trip was a visit to the brewery and a chance to meet Dave face-to-face and taste his beers. Not especially lucrative, but great fun. 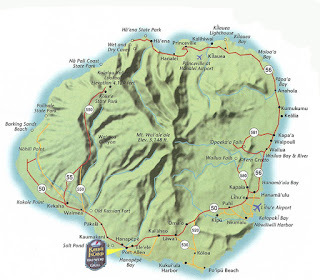 Not to repeat too much of the earlier post, but Kauai Island Brewing is essentially the old Waimea Brewing Company, which was located for many years within the Plantation Cottages in Waimea. Curry, whose background I'll get to momentarily, ran Waimea Brewing for many years. They lost their lease in Waimea a couple of years back, thus forcing a change of scenery. Curry is not a Hawaiian. He's a mainland guy...worked at a now defunct Redding, Calif. brewery prior to coming out to Kauai in the late nineties. 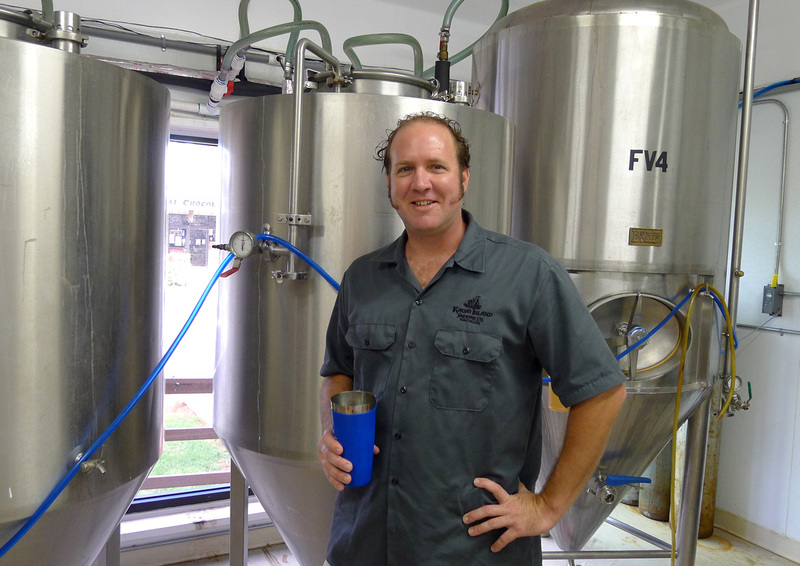 Upon arriving, he held positions at Whaler's Brewing (in Lihue) and Waimea Brewing. He went full-time at Waimea after 6-8 months on the island. Whaler's evidently didn't make it. 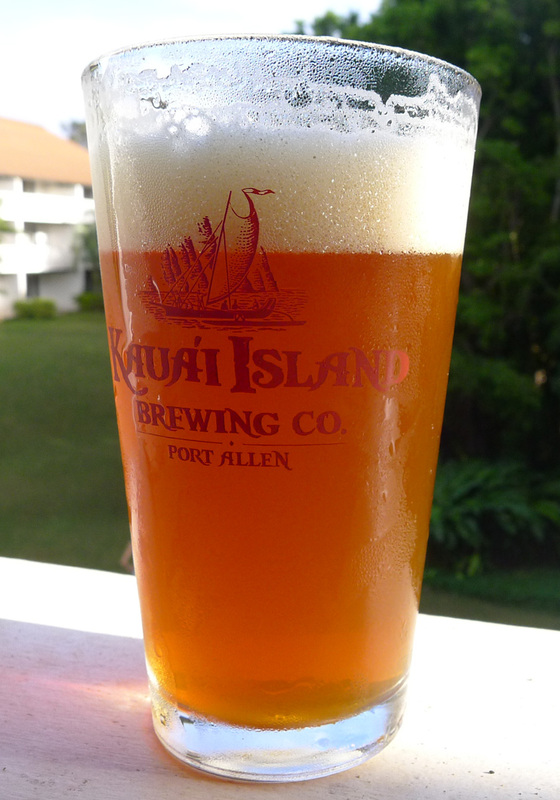 As I noted previously, Kauai Island Brewing has an unique ownership arrangement. Curry is a partner in the business, which is owned by Seattle couple, Bret and Janice Larson. The Larsons (Bret is an engineer at Boeing) do not own a Kauai residence and simply make occasional trips to see how things are going. Curry runs the operation and brews the beer. As the lease in Waimea was ending, Curry set about finding a new location. This can be a bit of a challenge because property values and lease rates on Kauai have been badly bloated by the tourism trade. More than a million visitors pour into Kauai every year. The building Curry found on the industrial side of Port Allen was previously occupied by Rainbow Paint and Fishing Supply. He suspects the building had been empty since 1992, when Iniki, a Category 4 hurricane, slammed into Kauai. Not to get too far afield, but Iniki is an interesting story in its own right. Most large Pacific storms originate there and are known as typhoons. Iniki was different. It originated as a tropical wave off the coast of Africa, crossed the Atlantic Ocean and jumped to the Pacific over Central America. It moved westward and strengthened before zig-zagging and making landfall on south-central Kauai with sustained winds of 145 mph. Damage was extensive. More than 1,500 homes were destroyed and many more damaged. It was years before the area recovered and some places were never rebuilt. A vibrant wild chicken population owes its existence to Iniki, but never mind. 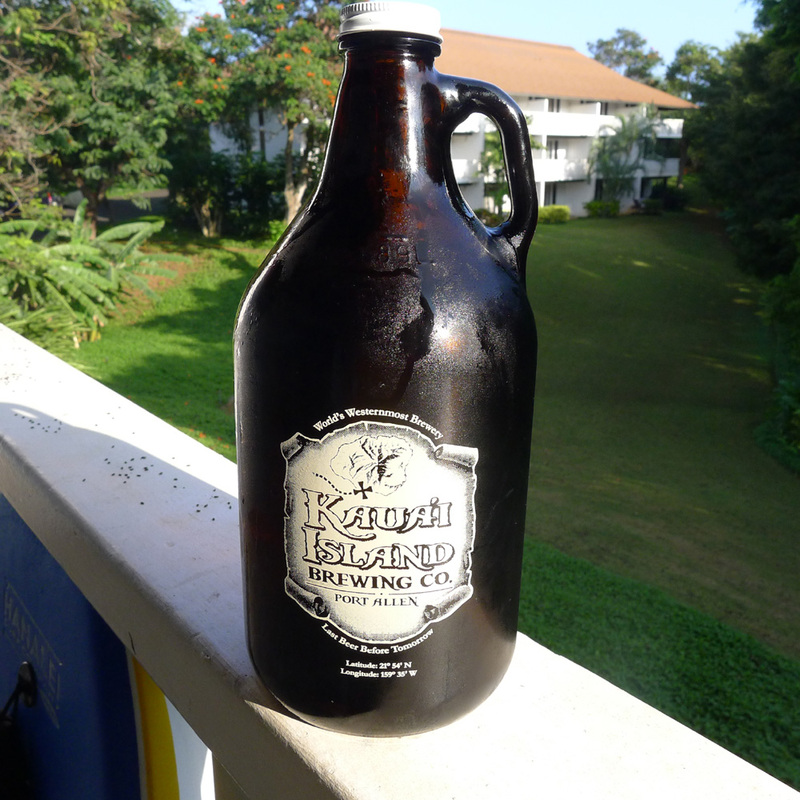 Back to Kauai Island Brewing. It took Curry more than a year to get his new-found space ready to house a brewery. There was the usual barrage of permit challenges and regulatory issues. He finally opened last summer. 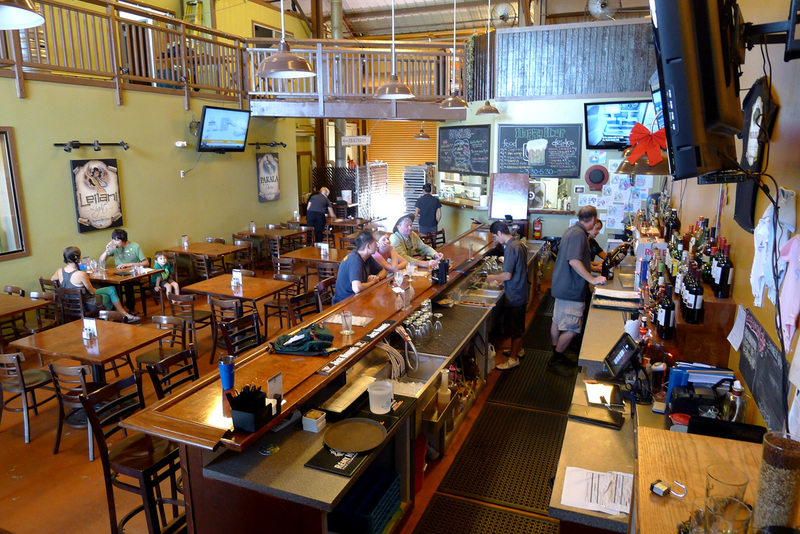 The place is fairly charming, with large seating area and bar on the main floor and additional seating upstairs. Curry operates a 5 bbl brewing system attached to three 5 bbl fermenters and a 10 bbl fermenter. 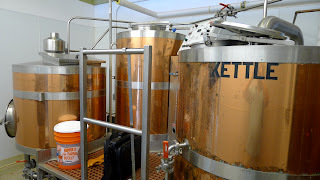 The place is also outfitted with 10 serving tanks (four 10 bbl; six 5 bbl). 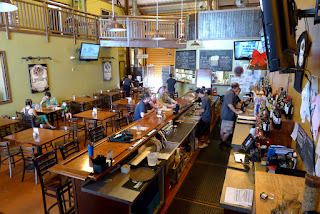 Lines run under the main seating area and come up behind the bar on the other side. It's a nice setup and the capacity there is more than sufficient for the pub. They were pouring 10 Kauai Island Beers when I visited. Not bad. There are challenges. One of the biggest is energy costs. 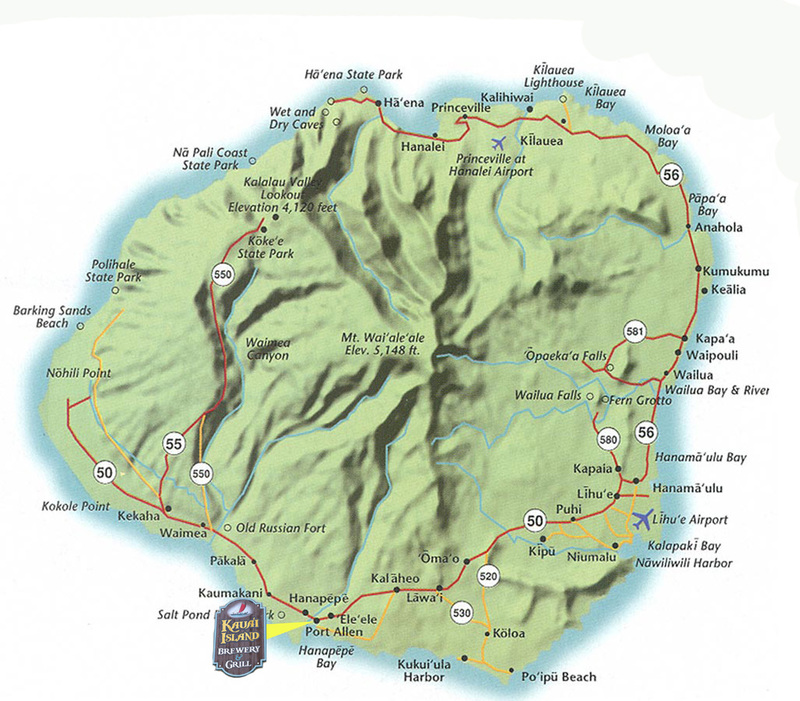 Kauai has for decades relied almost exclusively on expensive, oil-fired electricity. Curry said he pays $4,000 a month just for utilities. He had hoped to equip his new space with solar collectors, but plans fell through. So he does his best to conserve power when possible and hopes to someday go solar. A footnote here: Kauai is making progress in the area of renewable power. More here. Shipping costs for malts and hops is another issue. Curry receives regular shipments from Great Western Malting (Vancouver) and Hop Union (Yakima), among others. All parties are constantly on the lookout for creative ways to minimize shipping costs. Finally, there's the state's beer excise tax, fourth highest in the country at 93 cents a gallon. Pints and pitchers are more expensive here at least partially due to the tax. By way of comparison, Oregon's beer excise tax is 8 cents/gallon. The differential helps explain why craft breweries have flourished in Oregon and often flopped in Hawaii. Of the 10 house beers, most are pretty good. The bulk of these beers came over from Waimea Brewing. The lighter ones, including Leilani Light, Lilikoi Ale, Wai'ale'ale Ale and NaPali Pale Ale are all decent, if not hugely exciting. Captain Cook IPA is a full-bodied, dry-hopped brew that compares to Northwest IPAs. Cane Fire Red is a malty, mildly hoppy red that works fairly well. 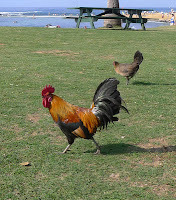 It's a pity you can't find Captain Cook or Cane Fire Red in any of the bars and restaurants on Kauai. They would definitely boost the beer aura. Self-distribution is legal in Hawaii, so Curry has that option. He would likely need to bump up his production capacity if outside distribution were to go well. This would be a keg-only situation, as bottling beer in Hawaii presents another problem: a per case tax on empties shipped in. I'm not kidding. Curry says keg distribution might happen someday. If you happen to be headed out to Kauai and in need of a craft beer fix, Kauai Island Brewing is the only show in town (err, on the island) at the moment. 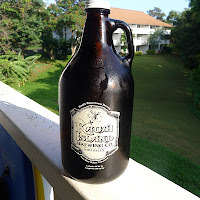 There's evidently another place hoping to open in Lihue one of these days...Kauai Brewing Company. These things take time and things move rather slowly on these islands, so we shall see.